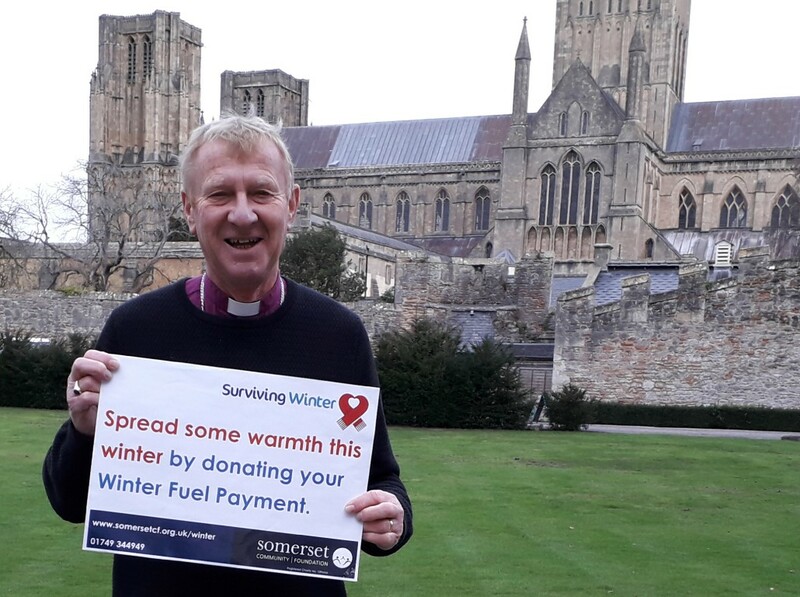 This year we aim to raise in excess of £100,000 this winter and help over 500 vulnerable older people stay warm and better connected this winter. If you would like to donate to the Surviving Winter campaign, please click on the Donate to Surviving Winter button below, which will take you to our donation page at the Charities Aid Foundation. Thank you. 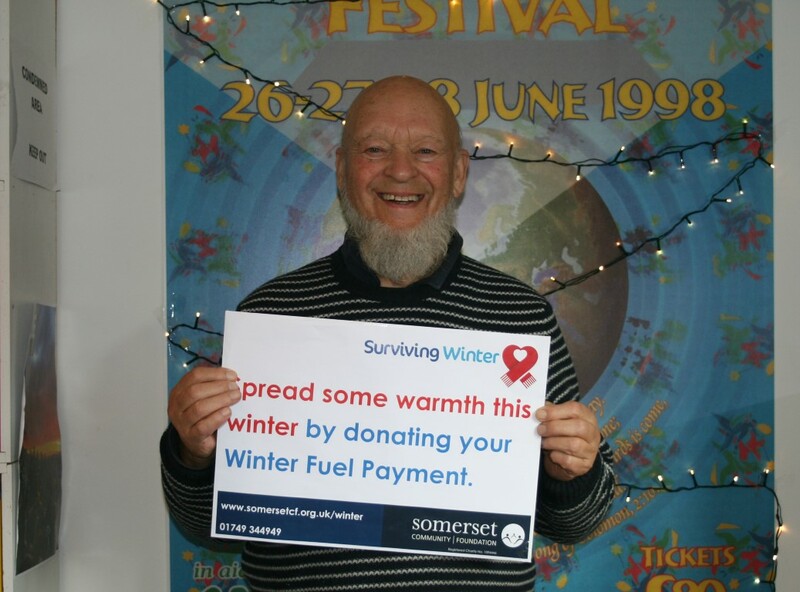 Surviving Winter grants are available for older people living in Somerset, who are unable to adequately heat their homes and information on how to apply for a grant will be available from December 2018. One of our local partner organisations will visit an older person in need and make a grant to them face-to-face, which can be used to help them stay warm, active and healthy. 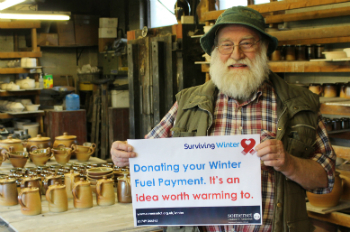 Giving grants directly in this way means that not only does an older person receive a vital grant, but they are also put in touch with a local charity that can help them to stay connected during the winter months. For that reason, some of your donation will also be used for essential services, like Meals on Wheels or community transport schemes. This year we are working with our partners to make sure that these benefits extend well beyond an initial grant payment. That way we can reduce the isolation and loneliness that many older people feel in the winter months. 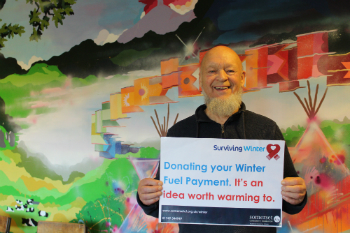 The costs of running the Surviving Winter appeal are met entirely from your Gift Aid contributions, so you can be confident that your donation will reach those who need it the most. But for this reason we also ask you to please Gift Aid your donation if you are able to do so. 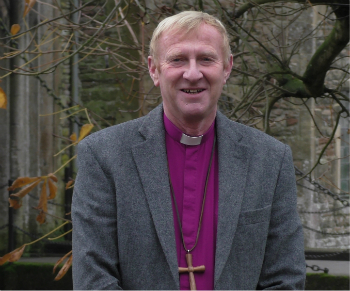 Gift Aid can be added to donations made by cheque as well as those made over the telephone or online. The figures at the top of this page are shocking. But the stories that our partners tell us about the difference a Surviving Winter grant can make demonstrate the real value of local giving. Last year one of our local community partners made a Surviving Winter grant to an elderly lady in her 90s. She lived alone, and while her Surviving Winter application form was being filled out for her, she talked about how her daughter had taken her own life and that she had no family left. Like many older people in our community, she was struggling on without any real assistance beyond her state pension. It was a real pleasure to hear that she was able to use her Surviving Winter grant to heat her home without worry. But it was equally pleasing to hear that this meeting allowed our local partner to support her through an assessment for pension credit and attendance allowance, both of which were awarded later that year. This simply would not have happened if Surviving Winter didn’t exist. 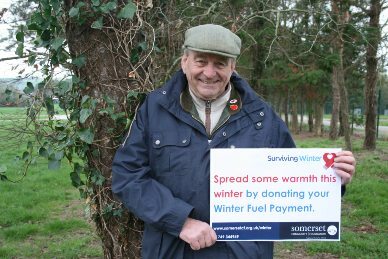 Last winter a Surviving Winter grant was made to an elderly couple who live in a mobile caravan in a more remote part of Somerset. The caravan had no mains water and the couple relied on gas bottles for cooking and a generator for their electricity. With declining physical health as well as mental health problems, the husband’s wellbeing depended on them being able to heat their home. As you can imagine, this was an ongoing challenge in such circumstances. The Surviving Winter grant helped to alleviate the pressure they clearly felt, while they also received information about local services. Surviving Winter cannot solve all the challenges of an ageing society, low incomes, or cold homes. But the examples above do show how a gift from you, made via your local Community Foundation and our community partners, directly benefits those in Somerset who need extra support. Surviving Winter began in 2010 right here in Somerset. 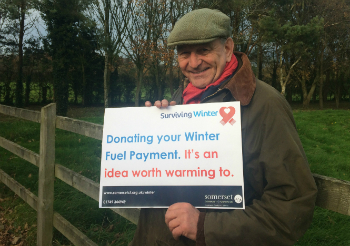 We were contacted by one of our donors who offered to give his Winter Fuel Payment to help local pensioners struggling with the cost of staying warm and healthy. He wanted his donation to pay for the everyday essentials that most of us take for granted, such as heating, warm clothing and food. 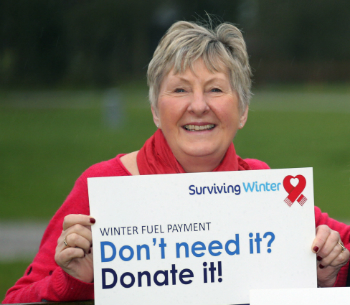 From this simple idea Surviving Winter has spread across the country, raising £5.5 million nationally and £500,000 in Somerset alone. 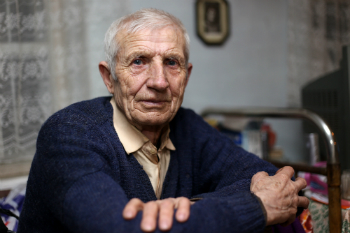 Over 80,000 older people have received a Surviving Winter grant during this time. "My husband Ian and I have been very lucky in that our pensions allow us to have a decent quality of life, but we know this isn't the same for everyone. We are very happy to give our heating allowance to Surviving Winter because we know it will be used for good."